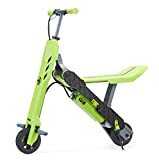 When you hear the word scooter, you may automatically think that it’s a kids toy, but they are now available for adults to use as well. It can actually be a great time saver when you’re traveling to different places. Plus, you don’t actually have to be on the road with them. You may think that it is a lot of effort to use a scooter, but now they have electric ones, so you don’t even have to do any work yourself at all. They can be great to use for fun and for more practical reasons. Therefore, we’ve put a list together of the best electrical scooters around so you can easily decide which one will suit you better. 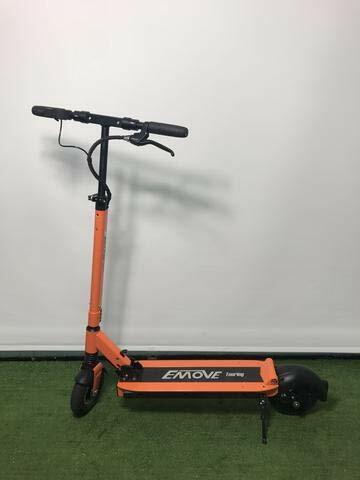 If you need to use this electric scooter to get from places across the city, then this is ideal for you, as it can be used for up to 45 miles, so it really should enable you to be able to get around. The scooter has two independent motors both of them are 1000w. It also has pneumatic tires that are really good at absorbing any shocks, and they also have an anti-slip function, so you don’t have to worry about it slipping even in different weather conditions. It has a stable breaking system so if you need to do any emergency stops this will not let you down. Why We Liked It – We liked this electric scooter because it is able to drive for quite some time without running out of battery and is easy to use. 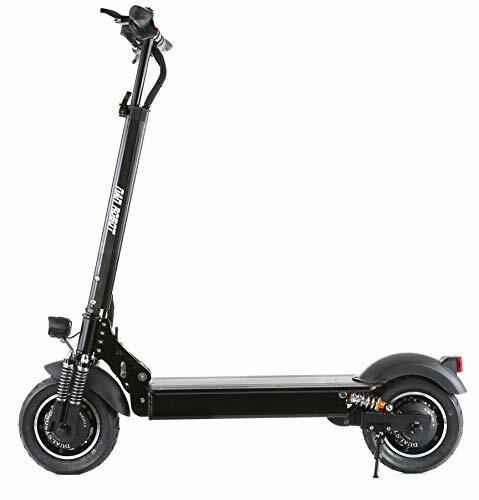 The electric scooter has a very slim and modern design, so you really will look like you’ve got the latest up to date gadget when you’re riding this scooter around. It is also UL2271 certified which means that it is completely safe for you to ride around town. This scooter is able to travel up to 12.5 miles, so it’s more suitable for smaller journeys that you may have to take, but it only takes 4 hours to recharge fully. It also has a top speed of 15.5 mph, so you can definitely get to places a lot quicker than you usually would. Why We Liked It – We liked this electric scooter because it is quite a bit cheaper compared to other scooters, and it can still get you from a to b. If you need to get to places at top speed, then this is ideal for you as this scooter is able to reach 40mph, so if you have to dash to places very quickly, then you really can do so. It is also very easy to fold away so it won’t take up too much room at your house or wherever you may need to go to. It has two 1000w motors that provide power to the front and back tires. It also has an LED light at the front of it so you can see where you’re going at night and so other people can easily see you on the streets. Why We Liked It – We liked this product because it is very suitable for you to use in the day and at night as well, plus, it’s made from premium quality. 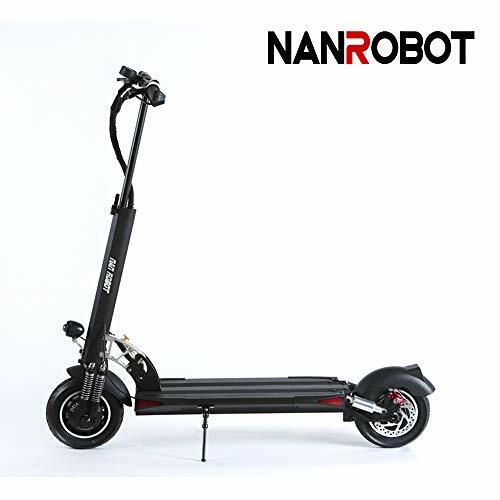 If you want to buy an electric scooter that has a variety of colors, then this one is ideal, as it also comes in green, orange and white. It is also a very fast scooter as its top speed is 40km per hour, and it has a very strong and sturdy 500w motor. You can also travel up to 37 miles on just one charge, and if you do need to recharge the scooter, it should be fully charged within three to five hours. It also has a very strong braking system that has a strong rear drum brake, which allows you to take full control whatever speed you’re doing. Why We Liked It – We like this electric scooter because it has a very high top speed and it can also run for quite a long time. This electric scooter has a very high power battery that is 36V, and it also has a 350w drive motor that enables you to do a top speed of 22mph. It is a portable folding electric scooter that you can easily fold and carry with you. So when you don’t need to use it, you can easily carry it, or if you need to store it somewhere, then you can easily do this too. It has front and rear brake discs to allow you to have a safe ride. It also has a USB charging port so you are able to charge any device while you ride. Why We Liked It – We liked this electric scooter because you can use it in both the day and the night, as it has an LED light on the front of it. If you want something that can provide you with different levels of speed, then this is perfect, as it has three different speed levels. The total speed that this electric scooter allows you to get to is 12 mph, and it will allow you to travel up to 18 miles on it. It only weighs 24 pounds, so it is about the same weight as the average vacuum, making it very easy to carry around with you. It’s also foldable so you can store it in a whole range of places without it taking up too much space. Why We Liked It – We liked this product because it is very light to carry around with you and you can easily use it to get to places quickly. 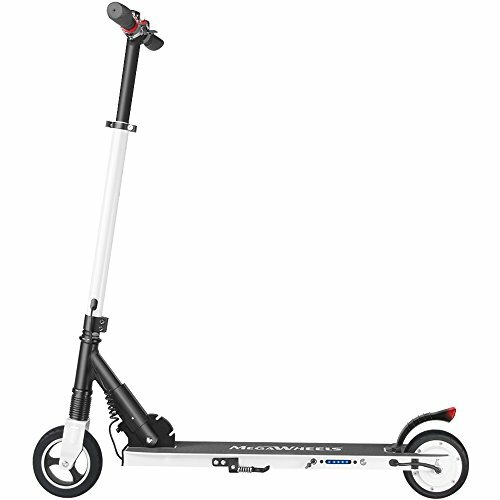 This electric scooter is very easy to learn to use because it has intuitive controls that actually simplify learning to use it. Therefore, it is suitable for most ages. It has very long battery life as it can last up to 18.6 miles and it has a top speed of 15.5 mph. It is portable so you can easily carry it around with you, and it is able to fold away. Therefore, it is also easy to store as well, and it really won’t take up much room in your home or even in your office. Why We Liked It – We liked this electric scooter because it comes with a double braking system that is very responsive and has anti-lock brakes as well. 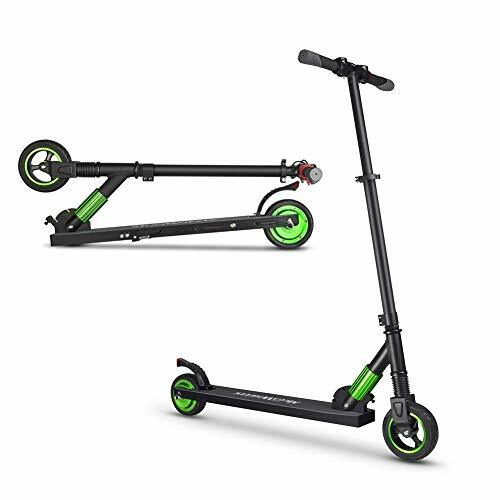 This electric scooter actually comes in a variety of colors, which includes green, orange and white. Its top speed is 14 mph and can run up to five miles, so it really is only suitable for short journeys. It only weighs 18 pounds, so you can easily carry this around with you wherever you go. Not only this, but you can easily fold it up as well, making it very easy to store. It has an adjustable handlebar, which makes it suitable for people of all different heights. It comes with a range of other features, like a front bumper, battery indicator, and taillights. 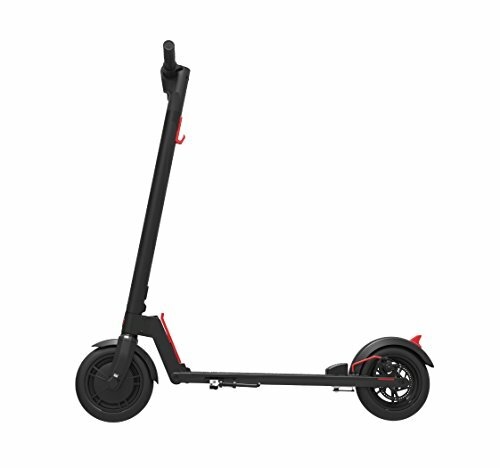 Why We Liked It – We like this electric scooter because you can easily adjust it to suit your height, and it is very easy to use and navigate. This electric scooter is very powerful to use it has a 250W motor, which enables it to have a top speed of 23km per hour. It is able to drive a distance between 8-12km. You can easily fold this scooter away, and once you have folded it up, you can easily carry it as well, making it portable. It is very eco-friendly to use, as it produces zero emissions. It is suitable for most ages, but the rider must be 10 years or more to ride it for safety reasons. It only takes two to three hours to be able to recharge the battery. Why We Liked It – We liked this scooter because of how eco-friendly it is, and a whole variety of ages are able to use this. Choosing an electric scooter can be quite a dilemma as a lot of them have a whole range of different features that you can compare. For instance, some may be suitable for use in the dark while others may not be so suitable for this. Some of them can also go a lot faster than others, while some may be able to travel a greater distance. Therefore, in our buyers guide we’ve listed all of the things that you need to look out for before you do purchase an electric scooter. 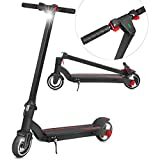 If you want to use your electric scooter when it’s dark, then this is essential, and you must make sure the electric scooter you’re planning to buy does have this feature. This is because not only can it show you where exactly you’re going to be riding, but it will also light up any dangers that might be in your way. For instance potholes and puddles, if you happen to go over a large pothole, then it could create quite significant damage to your electric scooter, and it could also cause you to injure yourself as well. This isn’t the only benefit to making sure that your electric scooter has LED lights. If you’re planning to use it when it’s dark, then it’s essential that other people can see you too, especially cars. If your scooter does have lights on then cars will be able to see you, and so will other pedestrians. Therefore, you won’t be risking your health or anyone else’s. You may have noticed in the list above that there are quite a few electric scooters that have different speeds. You will need to check them in the description of each of the scooters to find out what their max speed is. Some of them do tend to be quite a bit faster than others, and they can even reach a staggering 40mph. If you’re planning to do these types of speeds on them, then it’s best not to ride them on any sidewalks. However, you should rarely want to do these speeds anyway, as this is not a car and it can be dangerous for you and for other road users. Even though some of the electric scooters may seem to be a bit slower compared to one that can do 40mph they are still just as useful and are still able to get you from and to wherever you need to be at a very quick speed. A lot of the electric scooters in the list above have a whole range of distances that they are able to travel. Some of them are able to travel a lot longer distances compared to others, so it’s very important that you definitely know what you want to use the scooter for. This is because you don’t want to be on the way to somewhere and it runs out of charge because it is unable to travel the distance that you desire. The electric scooters that do have a much shorter travel distance are more suitable if you need to get to places quickly that are not that far away, for instance traveling to blocks that are not that far from you in towns and cities. Whereas if you need it to travel quite a few miles on quite a few journeys throughout the day, then it’s probably best to purchase one that is able to travel longer distances. The recharge rate can be a big factor about whether or not you do decide to purchase an electric scooter. Some of the batteries can take a much longer time to charge up compared to others. However, you will need to figure out how often you’re going to need to use your electric scooter throughout the day, because if you need to use it more frequently, then it’s better to get a scooter that has a shorter recharge rate. However, there are multiple ways that you should be able to charge it when you’re still out and about. For instance, if you’re at work, then I’m sure it will be okay to charge it there. Each scooter may have different instructions about how you use them, so it’s always best to read them before you do start. Usually before you can use them you will need to charge it up fully, otherwise, it probably won’t run for a very long time. Once it is fully charged you will then need to turn the power on, then take the release bar off and gently start pushing it with your foot. After you’ve done this, then you can gently push the accelerator button with your hand to get it going. How to clean an electric scooter? If you’re out and about all day every day on your electric scooter then in a short amount of time it is bound to get a little bit dirty. To clean it the best way to do this is to use a wet wipe, that way you won’t damage the electrics by using a lot of soapy water. Simply wipe the wet wipe over the dirty areas, and that should get rid of any dirt that may be on your electric scooter. 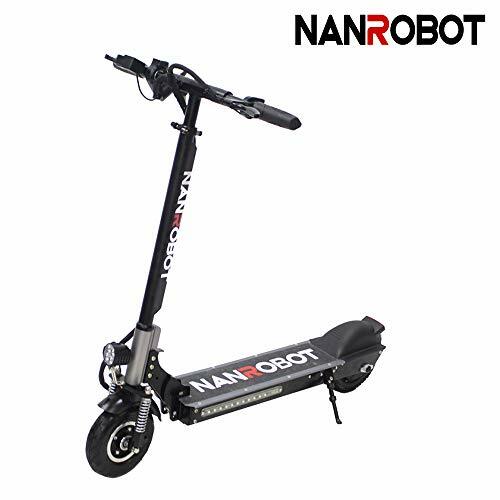 Can an electric scooter be used manually? Some electric scooters can also be used manually too, but you will need to check that your electric scooter can be used manually before you try to do it. This is because some of them cannot be used in this way so you wouldn’t want to damage it by trying to do so. It’s always best to avoid damp roads; this is because the tires of the electric scooter can lose traction quite quickly. If you do want to ride your scooter on the sidewalk, you need to be careful because there are a lot of pedestrians on the street too, if you want to then you can always use it on certain roads as well. There are many electric scooters around, and a lot of them are a whole range of different prices, some of them are a lot more expensive while others are quite a bit cheaper. However, they all do have various features, and some of them are able to have a higher top speed and travel a longer distance, while others are more suitable for shorter journeys around town. 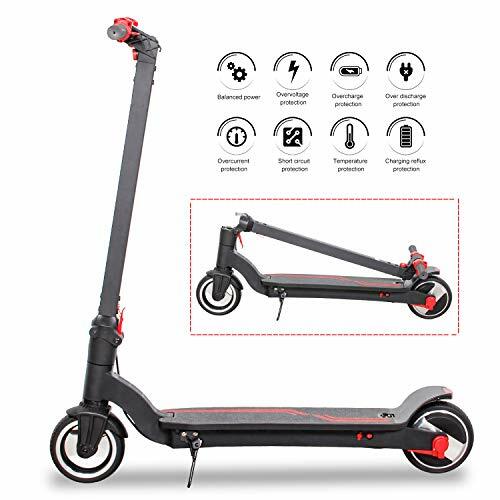 It really depends what you need to use the scooter for and then you will be able to decide which one will suit your needs the best because you don’t want to buy one that can’t travel long distances if you do have far places to travel to. 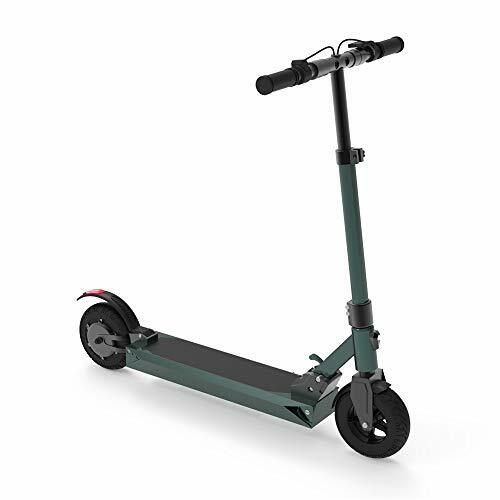 Most of the electric scooters are very easy to use, and they are very easy to carry around with you because most of them are portable. They can really make your life easier if you have places to get to in a short amount of time.